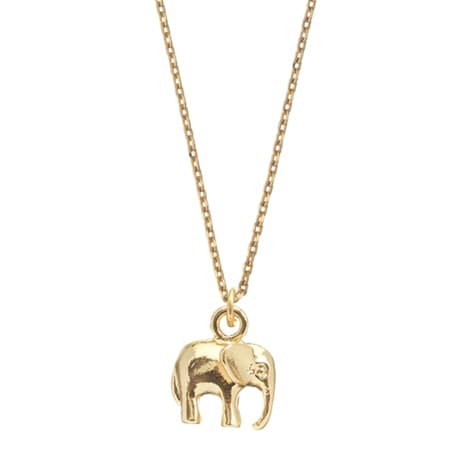 A lucky charm with our bestselling gold plated elephant necklace. Every detail has been picked up in the creation of this sweet charm. Wear layered with other whimsical charm necklaces.